All the flavor, half the caffeine. 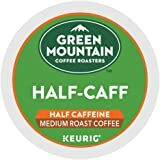 For years, fans of our coffee have made their own "half and half," adding a little decaf to their favorite regular blend. Now it's twice as easy to make. 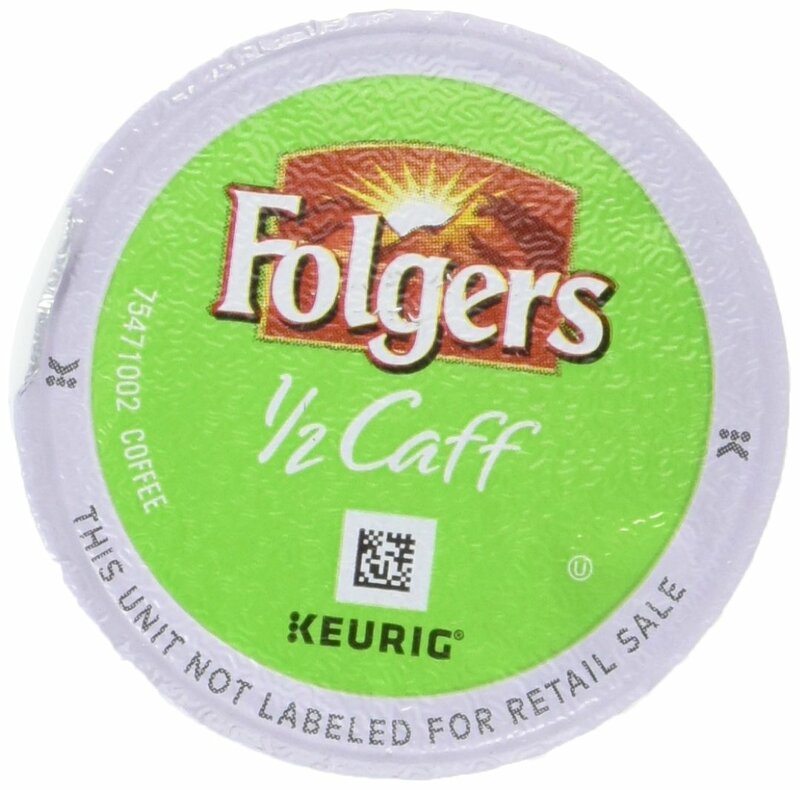 Our Half-Caff K-Cup Pack variety lives up to its name: all of the flavor, and half the caffeine. It's perfect for after dinner, or as a late day pick-me-up without a sleepless night. It's the best of both worlds. Made with 100% Arabica coffee. 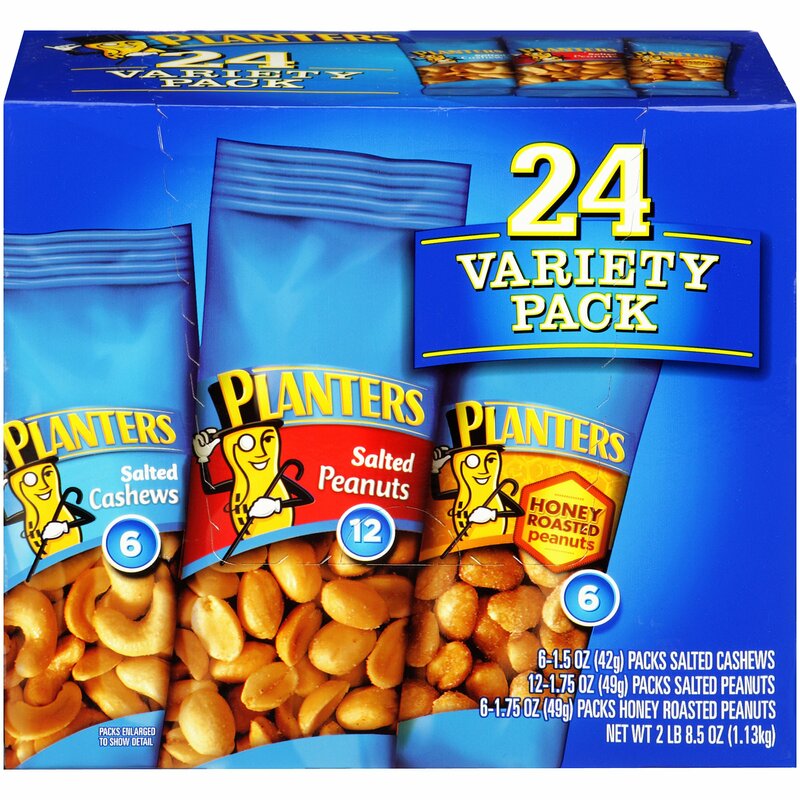 I have bought all kinds off these I have never had a problem till recently. These little cups are bursting from the side which makes a mess in my coffee maker and ruins the coffee. Pictures here. I honestly thought it was my coffee maker but I put another brand and is works fine. This is my second box this has happened. Don't get me wrong the coffee itself is great just these little cups. Brand new box too. 1.0 out of 5 starsWarning! I ordered several boxes. Two boxes, I had no problems. The third box has exploded with coffee grounds all over the inside of my Keurig. I performed the Keirig maintenance on the needle and descaled and cleaned the entire unit. Much to my dismay, the same thing keeps happening. I'm throwing the rest away because more than 30 days have gone by so I can't return it to Amazon. I still have 3 more boxes but I can't bring myself to use them! It is so stressful to deal with such a mess rather than enjoy my morning brew!! 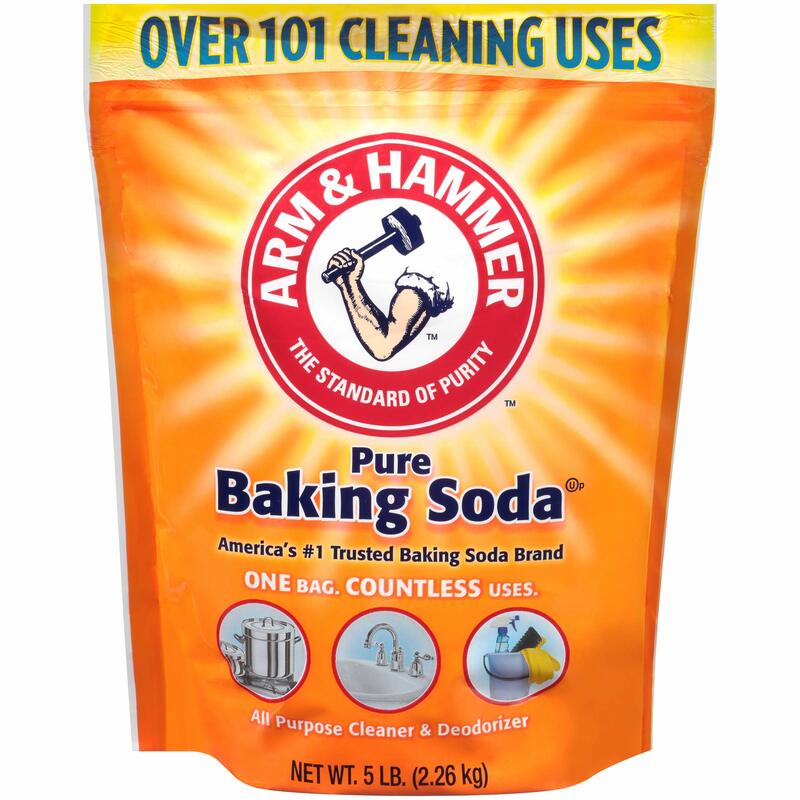 I have purchased this product many times and have been happy with it. 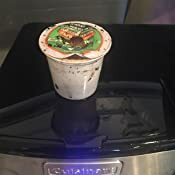 This time, each Kcup I used, erupted in the unit. After complete cleaning of the unit and decalcification of the unit, I tried another Kcup. It also basically blew up in the unit. According to Keurig, this happens with defective Kcups. 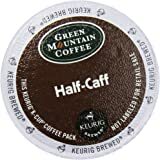 Their explanation is that the Kcups either have too much air in them or they are not properly sealed. 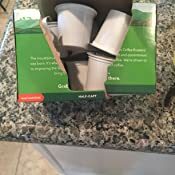 I have not received replacement cups or any refund. I am very unhappy with this product. 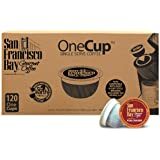 1.0 out of 5 starsCOFFEE GROUNDS IN EVERY PREPARED CUP! Bad product. 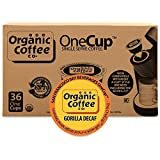 COFFEE GROUNDS IN EVERY PREPARED CUP! 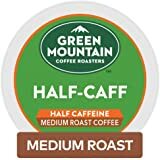 I've been using Green Mountain half calf for years, but had significant problems with this order. The entire batch (which contained numerous boxes) was defective. We kept trying, thinking the initial pod was bad or just one box. NOPE. 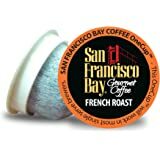 The WHOLE batch was defective and the filter perhaps was poor because the contents of the K cup ended up in the coffee. The coffee was not drinkable due to the numerous grounds floating in the coffee. I've ordered these cups in the past - this is the only time I had this problem. Not sure if it's the product or the seller (fake product). Arabica Coffee decaffeinated with Methylene Chloride. That is an agent used in paint solvent. I think I should be able to return this right away! Haff Caff is great. 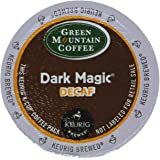 As I got older caffeine started to affect me. 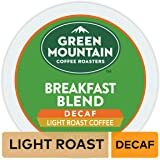 With this product I can still have my coffee without the side effects of caffeine. Like palpitations and increased anxiety. 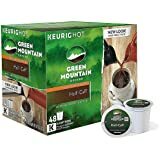 Green Mountain Coffee K-Cup, Half-Caffeine is my go to, default K cup coffee. Between age and the particulars of my medical history I have a limited tolerance for caffeine. 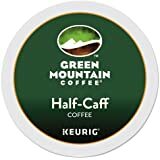 A half caf product works best for me. 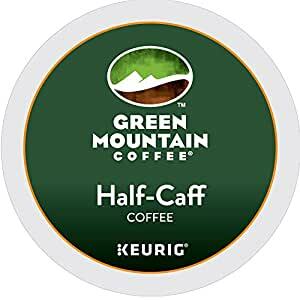 Often Green mountain is the only half caf product I can find. This is not as bad as it sounds as I also like the taste of Green Mountain. It is not as rich as the ad copy would have you believe but it is smooth, mellow and neither bitter nor flavorless. It compare as much better than most caffeine free coffees. It also benefits from a small amount of vanilla flavor which I get from a flavored creamer or syrup. Mine is not a super enthusiastic recommendation. The product works for me mostly because I have to pay attention to what my body can tolerate. As always with a packaged product like this on my strongest recommendation is to shop around. There can be wide variations in per unit cost here at Amazon. As is usually the case local sales or other vendors may have better prices for the alert shopper. 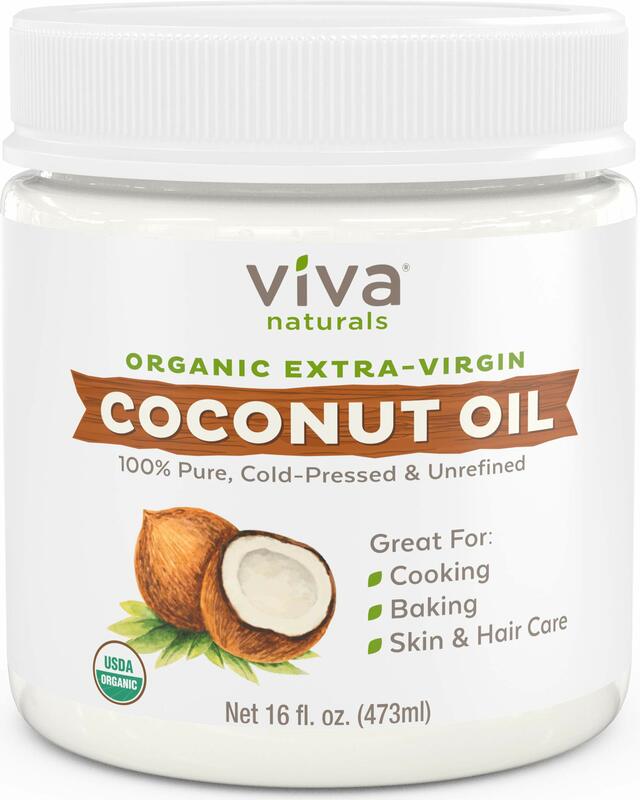 5.0 out of 5 starsYummy and perfect for pregnant women! 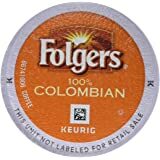 I love this coffee, especially because I'm pregnant and have to cut down on my caffeine. 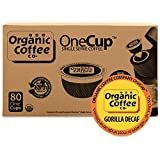 With this coffee, I'm able to drink 2 cups of coffee instead of just 1! 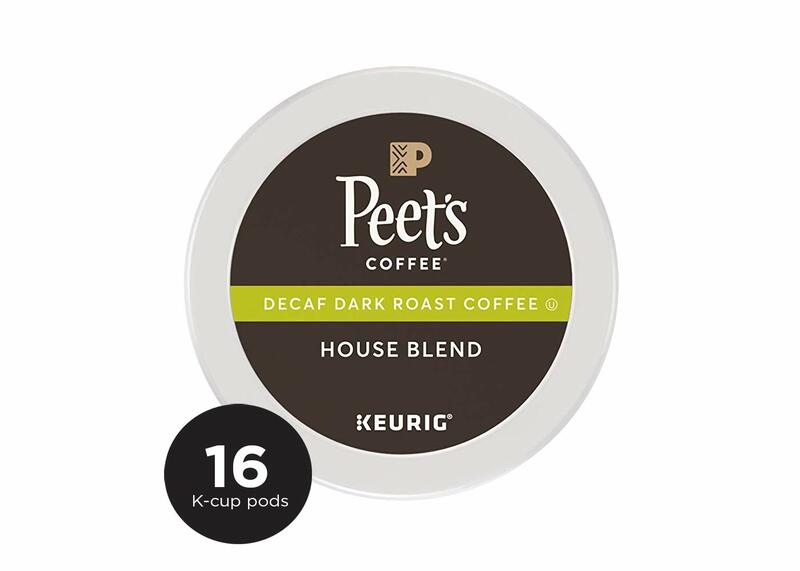 We have problems with some k cup brands taking forever to brew - this one does not have that issue at all. It brews super quick. I am a 2-3 cup a day kind of person and I love my coffee black. 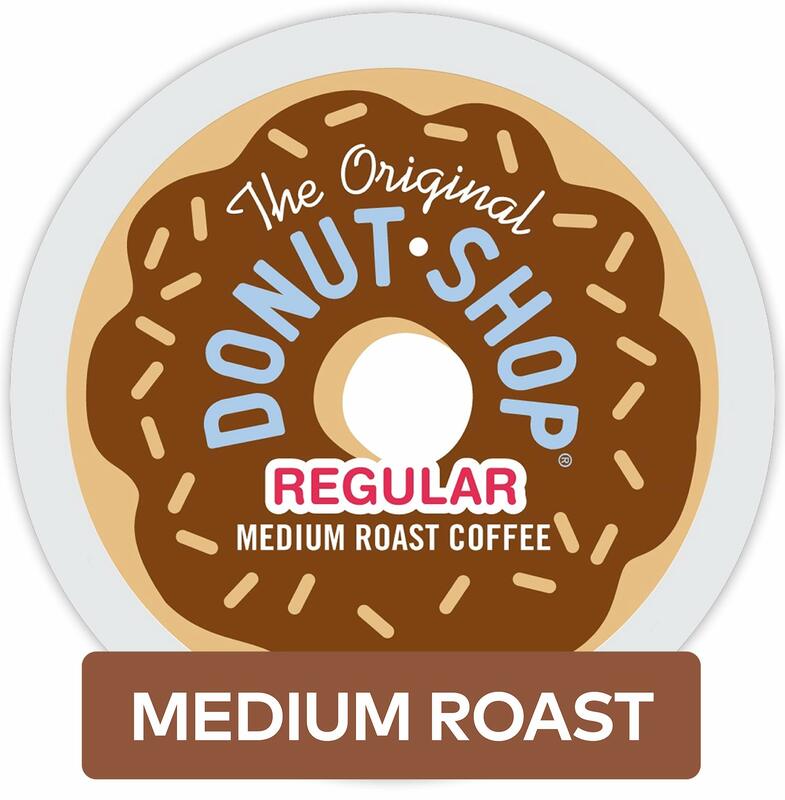 This coffee is really good, just the way it is. It still tastes strong, even though it's half caff.